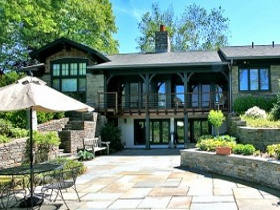 Daigle & Son has been building outstanding homes since in 1985. Each of our homes is extraordinary - truly customized and built without compromise. We pay attention to detail. Adhere to schedules. Get involved with our clients. We are committed to building a quality home, and our dedication shows in our work. A custom home demands much of its builder. Experience. Craftmanship. Conscientiousness. Dedication. Daigle & Son brings all this and more to each of our projects. Bruce Daigle's attention to detail, high standards for quality craftmanship, and experience proved to be invaluable to our project. Despite blizzards and hurricanes, no work stoppages occurred. The jobsite was left safe and clean every evening. We still can't believe that we live in this wonderful home! Bruce's suggestions and ideas led us to a final product that is truly superior. Bruce and his crew's attention to detail and level of construction quality exceeded our expectations. Thinking of remodeling your current home? When it comes to your home, quality should be the top priority. At Daigle & Son, our dedication to quality is unsurpassed. 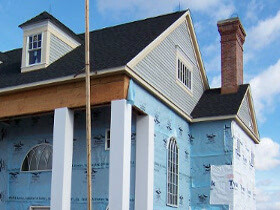 Our contractors are experienced and demonstrate unparalleled expertise and professionalism in their field. You can count on the work being done the right way, the first time, no exceptions. Whenever we begin a project, whether it is a new home construction or an existing home remodel, we have a firm committment to far exceed our client's expectations. With a reputation for attention to detail and skill, Daigle & Son continues to meet this committment. A Daigle home carries with it an intrisic quality of excellence that lasts long after the work is completed. The rewarding feeling of knowing your choice in builders was the absolute best will last with you long after your new home construction or remodeling project is completed as well. Providing a home to your family for generations to come is a feeling that can't be surpassed.